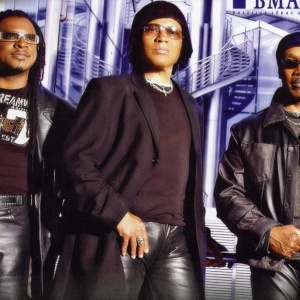 Londonbeat is a multi-racial R&B and dance music band who scored a number of pop and dance hits in the early nineties. Their career started in The Netherlands where "There's A Beat Going On" suddenly hit the Top 10 and it was decided to give additional attention to "9 A.M." which subsequently became a modest success in the United Kingdom. They are best known for their song "I've Been Thinking About You", which hit #1 on the Hot 100 and the Hot Dance Music/Club Play charts in 1991 and for their close harmonies for their members and Willy handling all the instruments. Band members include Americans Jimmy Helms and George Chandler with Jimmy Chambers from Trinidad and Tobago and multi-instrumentalist Willy M. Their follow-up single "A Better Love" became a Hot 100 Top 20 hit, and they returned to #1 on the dance chart with "Come Back" (Hot 100 #62). In 1995, Londonbeat entered the UK heats of the Eurovision Song Contest with "I'm Just Your Puppet on a ... (String)", however they were not selected to go to the main contest (losing out to rap group Love City Groove) and the single limped in at Number 55. In 2003 Londonbeat re-grouped with a new line up and signed to German record label Coconut. An album called Back in the Hi-Life featured re-recordings of "A Better Love" and "I've Been Thinkin About You" amongst the new tracks. Marc Goldschmitz left the band in 2004, now pushing his german-indie-pop-projekt "die Unerkl?rlichen".